The firm’s location in Missouri’s state capital allows access to all agencies of state government, as well as the legislature. Located near the Cole County Courthouse, the Supreme Court, and the federal district courthouse, the firm has easy access to the state and federal court systems. Brydon, Swearengen & England is also the Missouri member of the nationwide State Capital Group, which means the firm has direct access to law firms located in all other state capitals. 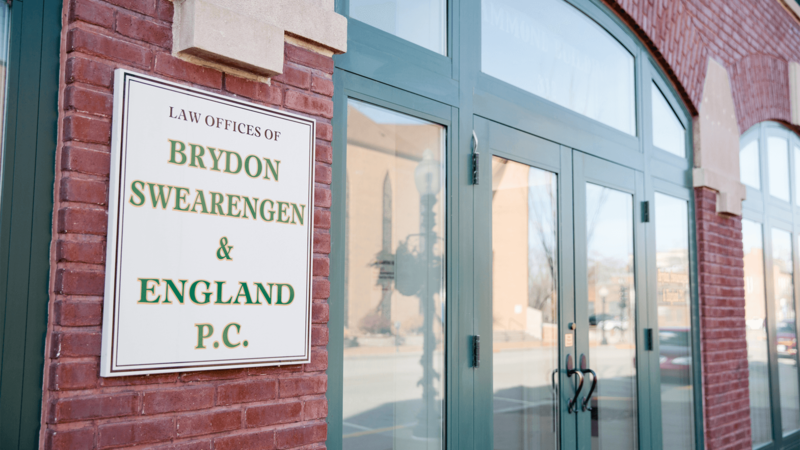 Brydon, Swearengen & England is also a “small town” law firm in that it gives all due attention to the needs of individuals and small business clients in the mid-Missouri area. Our firm is listed in the Martindale-Hubbell® Bar Register of Pre-Eminent Lawyers™, which has been America’s most exclusive directory of law firms for more than 80 years. The Bar Register of Pre-Eminent Lawyers lists only those select law practices and law firms that have earned the AV® Rating in the Martindale-Hubbell Law Directory and have therefore been designated by their colleagues as preeminent in their field. Our experienced group of attorneys handle a broad spectrum of legal needs for both corporations and individuals, from public utility regulations to estate planning. Whatever your legal need, contact us today.